Over the years, plenty of craft founders have discussed the idea — Dogfish Head’s Sam Calagione and Sierra Nevada’s Ken Grossman come to mind — but it’s not something that grabs headlines. 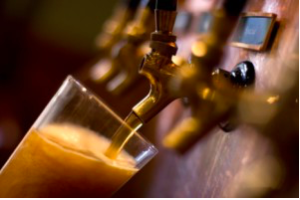 As the craft brewing industry continues to evolve, (publisher) Brewbound recognizes that some brewery owners might be considering a generational transfer as their primary succession plan. So, to discuss the ins and outs of generational transfers they tapped Deborah Steinthal, the founder and managing director of Scion Advisors, a boutique strategy consulting firm serving private business owners in the food and alcoholic beverage industries. Steinthal, offering advice on the topic at a recent Brewbound Session, has worked alongside more than 150 CEOs to generate close to $1 billion of incremental, profitable revenues for their companies. She’s an expert in the area of generational transfers and regularly pens articles on how family-owned breweries can beat the odds, improve the sustainability and value of their businesses, and decrease risk during transition. The health of the family-controlled craft brewing business is a fairly new area of study with much uncharted territory. Not unlike the U.S. wine industry a decade ago, the craft brewing sector is in the early stages of unprecedented change in management and ownership within family-owned breweries. While beer distributors are more familiar with generational changes in ownership, craft producers have been slower in starting the process; among several dynamics, founders’ passion for their craft makes it hard to let go and the audience is a bit younger (many owners are still in their mid-40s). In reality, when the time comes for founders to pass their baby onto the next generation, with dreams of keeping it in the family and maintaining their vision and hard-earned enterprise, they flounder for a variety of reasons: They lack a plan and can’t get out of the way. They find that either the next generation doesn’t want to take over or that all the siblings want it. Or, that they want to change it or sell it. This complex picture is what causes many peaceful, family-run operations to crumble, and legacies fade into failed endeavors. The American economy depends heavily on the continuity and success of family businesses. It is alarming that such a vital force has such a poor survival rate. Statistically speaking, the odds of successful family business continuity are low — less than 75 percent do not transition to the 2nd generation. Less than one percent survive past the 3rd generation. But it’s not all doom and gloom. There are a good number of family businesses that are thriving and growing, and resources abound for aiding those families through the process of transitioning to the next generation. With the proper tools, the keys to the kingdom can successfully be passed down to family members for years to come and generations to follow. When these dynamics align, three additional fundamentals should be observed.